If you're planning to buy visitors insurance for your next trip abroad, you may be considering these two travel medical insurance plans: Atlas America and Liaison Travel Elite. These travel insurance policies share some similarities, but anyone deciding between the two should know the difference between Atlas America and Liaison Travel Elite before purchasing. 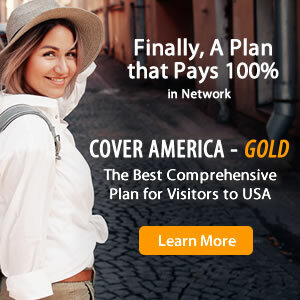 Both Atlas America insurance and Liaison Travel Elite insurance cover trips to the US and other foreign countries and are both comprehensive plans, meaning they provide percentage based coverage for most eligible travel benefits. The comparison chart below features the main differences between Atlas America and Liaison Travel Elite insurance so you can find out which visitors insurance policy is best for you.